At 7 Generation Games, we have received three SBIR awards to date – a Phase I and Phase II (totally $550,000) and a Phase I ($99,000) – which has allowed us to develop and test the usability and efficacy of our games. Games that we have already seen have a demonstrated impact on students. “7 Generation Games would not exist had it not been for the SBIR awards we received,” I told him. I wasn’t being dramatic. When we set out to build 7 Generation Games into a company, we knew we were undertaking an incredibly ambitious and expensive project. We wanted to create a game that could compete with the games that kids are used to playing on consoles (Xbox, Playstation, Wii) and teach them math. Meaning we wanted to go up against games that cost tens of millions, even hundreds of millions of dollars to create. And the reality is we couldn’t have done that on our own. Launching a startup seems to be the “in” thing at the moment, but it is not an easy thing. And it’s even harder in edtech because edtech is not as “in” a thing. There’s a belief among investors that it’s less likely to provide the 10:1 return or hit a $1 billion valuation. And getting into schools is tough and takes time. Oh yeah, and we said we wanted to create games with the initial aim being to help underserved and underperforming kids in rural communities. For investors and venture capital folks whose main goal is to make money, “underserved kids in rural communities” doesn’t put dollar signs in their eyes. But programs like SBIR – and the administrations and agencies that administer them (USDA NIFA, Department of Ed’s IES, the SBA and more) – see the bigger picture. Each of our games – between the development, the art, sound, game design, sales and all the other elements – costs about $200,000 to make. And that’s with our founders working for a fraction of market rate (if even drawing a paycheck). With four games so far, that’s $800,000. To create quality products takes money. And SBIR funding is not easy to get. (Props to AnnMaria for being so amazing at grantwriting!) You need to have all the pieces in place – a good idea, a good team, the ability to execute the idea, a demonstrated need and market, a research element – and you have to be able to convey that to the reviewers. Our funding has also enabled us to grow our staff, hiring full-time employees and creating jobs. The importance of that cannot be understated either. 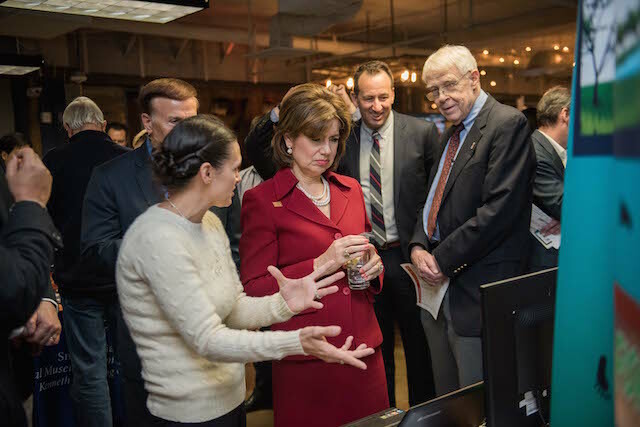 That’s why I was incredibly honored to have the opportunity to show Small Business Administrator Maria Contreras-Sweet the games that we’ve created with SBIR funding. 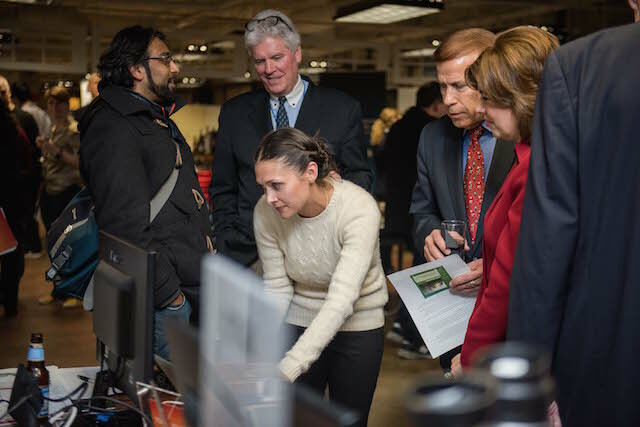 What the SBIR awards have done is provide us and thousands of other small business founders with the opportunity to create innovative products that can transform communities or industries from education to agriculture to medicine to technology to an almost unending list. Things that could never have been done without the support of SBIR funding. I like how you share your experience with these grants. This is a great way to remove the mystery of how to work a startup, and what the grant process is like.